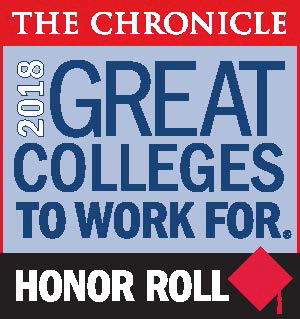 Consistently ranked as one of the nation’s “Great Colleges to Work For” by the Chronicle of Higher Education, Baylor is a rewarding place to build a career. With a student population of more than 16,000, pursuing over 250 degree programs, in world-class facilities, spread over a beautiful 1,000-acre campus, Baylor is like a small city—with full and part-time opportunities utilizing a wide variety of skills. Employment Opportunities To explore career options, learn how to apply, and view current positions—this is the place to start. Faculty, staff, and retirees are eligible for discounted or free admission to campus Athletic events. The University offers several dining venues on campus. Some of the dining venues on campus are subsidized for current or retired employees. Based on the person's benefit status, faculty, staff, and retirees may be eligible for up to 50% off at some dining venues. Plays are presented throughout the year. Season tickets are available, as are tickets for individual performances. For more information, including dates and ticket prices, call 710-1865. Concerts, recitals, operas, symphony orchestra, guest artists and bands perform throughout the year. Schedules and more information is available through the School of Music, 710-3991. Education is big here. Quality of life is valued here. People are welcoming here. And dollars go further here, with a cost of living well below the national average.